← It’s Time to Mix it Up in the Kitchen! Statement pillows can either make or break a room. It’s kind of like jewelry. Have you ever seen someone who is wearing a fabulous outfit and their bobbles are just wrong? Well, that’s the same with statement pillows. 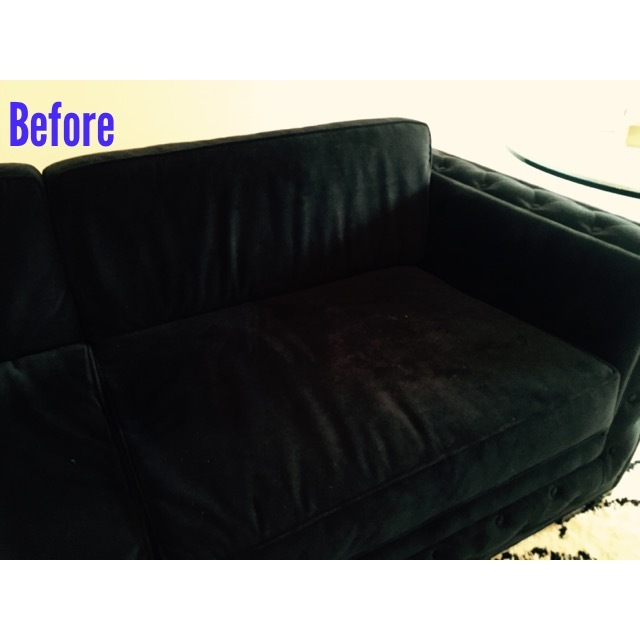 When you go shopping for a sofa or chair and they come with throw pillows, please do yourself a favor and toss the square pillows aside and just look at the sofa or chair. The fun of accessorizing comes after the “big-ticket” item has been purchased. Only then can you think about taking it up a notch and adding some real punch aka “pow-wow”! My sofa, seen here, is from Horchow. I searched high and low before I found the perfect fit for my space. 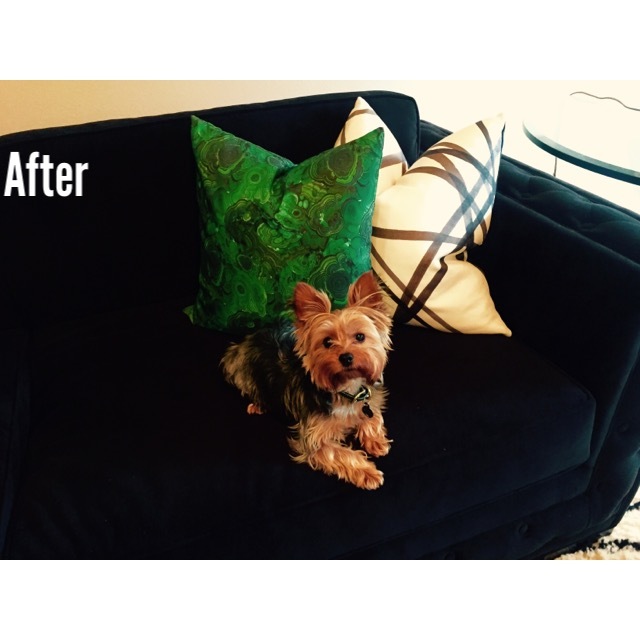 Then the fun began – statement pillows! The not so easy task of finding the perfect “look” took me a few weeks. 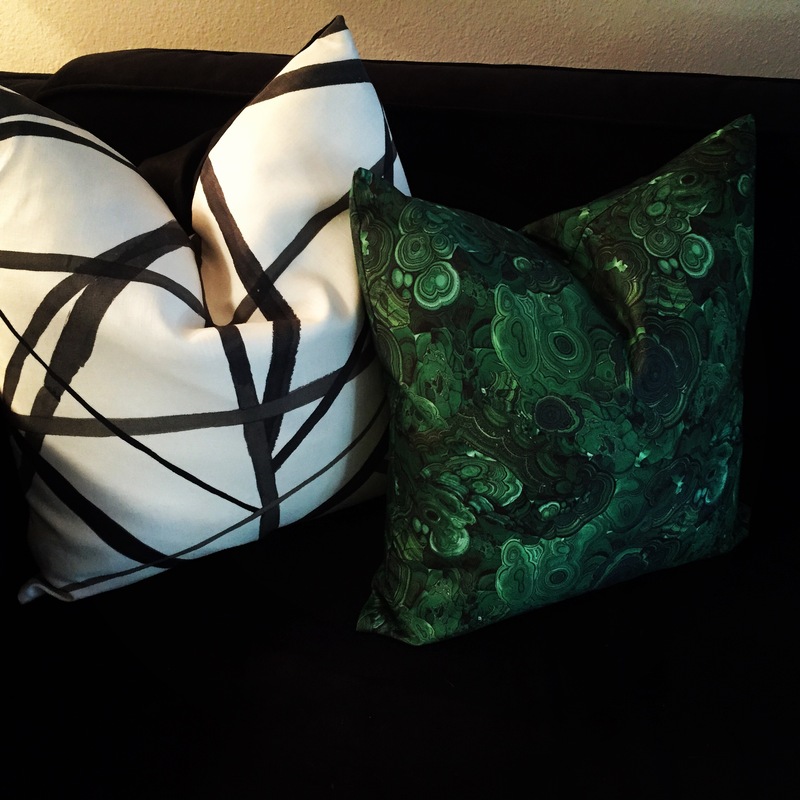 Again, after searching dozens of sites and visiting several fabric stores I happily settled on this fabulous black & white pattern by no other than THE Kelly Wearstler and this amazing emerald-green malachite pattern. I hired a seamstress and voila my ideal statement pillows came to life and I could not be happier! I’d love to hear from you! What are some of your favorite statement ideas for pillows that create a punch!